At first glance the chart above seems almost identical to those of the past several years. However, close analysis reveals the emergence of a new political force in the village  led by J. P. Cain. 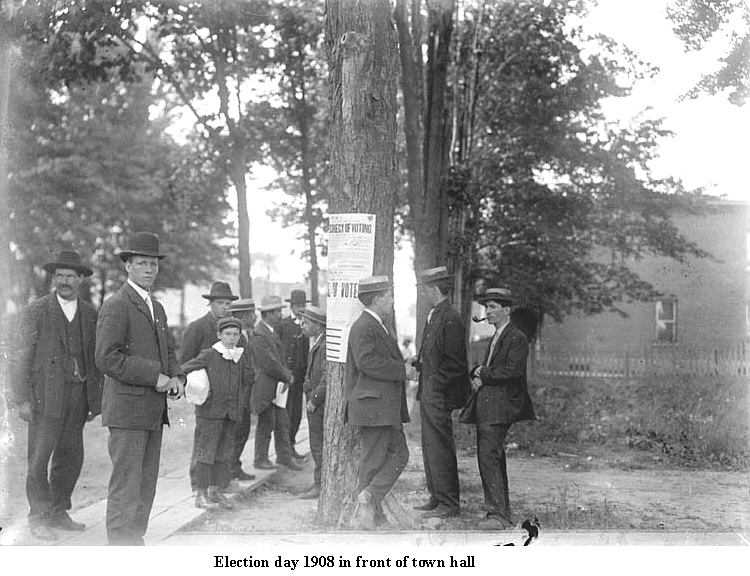 Successful in his first-ever bid for a seat on council in 1906, (he received the highest number of votes for a council seat in 1906), Cains entry into the political battles of the village was to ultimately seal the fate of the fledgling municipality. His bid for the position of Reeve for 1907 was unsuccessful but just barely! R. J. Biggars defeated him; the vote was 56% to 44% (181 to 143). Interestingly, Cain and his cohorts won the annexation vote later in the year by an identical percentage (142 to 116). As will be seen in Chapter Six, J.P. Cain led the fight for annexation with the City of Ottawa beginning in 1906. The municipal directories show no listing for Cain or his company until 1906. In that directory he is listed as the president of the Cain Brick Co. Ltd. with an office at 162 Main St. and his residence was in Ottawa. 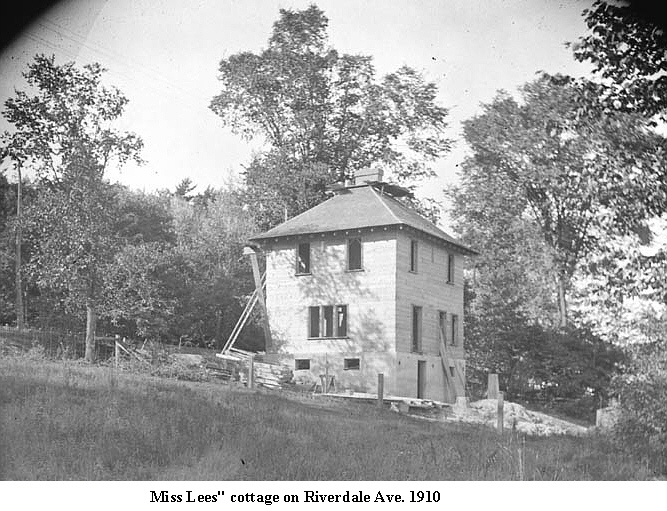 Various newspaper articles and minutes of the Citys annexation committee show that he, as well as other notable village residents, pushed for annexation throughout 1906 and 1907. 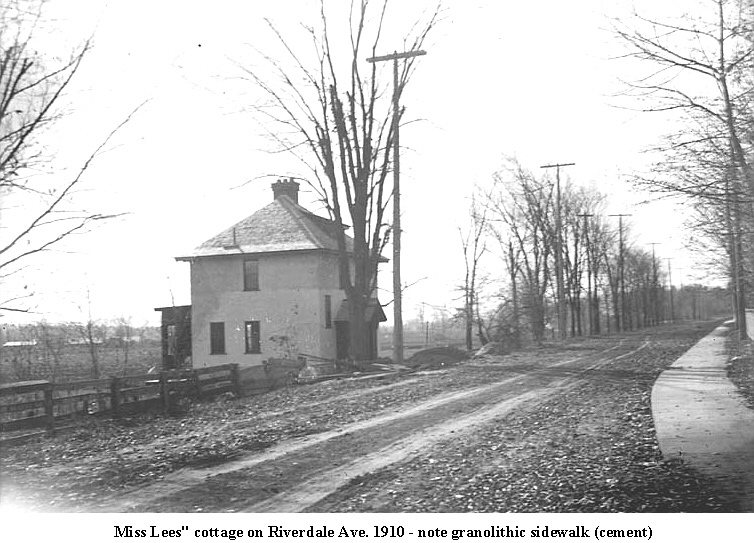 In November of 1907 a vote was held to poll the ratepayers of the village as to their desires on the topic. By a slim majority, the pro-annexationists won the day. 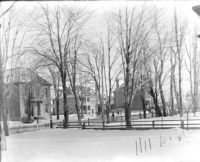 On December 13, 1907 the village council passed the saddest motion of its entire existence. The motion read "moved by Doran and seconded by Saunders, be it resolved that we do now pass away  Good bye Ottawa East". One can only speculate as to why people such as Cain pushed so hard for the dissolution of the village. Was it for profit - political power  urban amenities? And why did so many support the idea when only a few years before the village had taken great pride in the construction of a major sewer project, news schools, a waterworks, fire department  even granolithic sidewalks! The full answers to these and many other questions may never by known but there is much more on this political battle in Chapter Six. 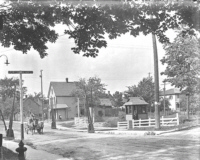 As will be seen, 1907 was somewhat different from the normal village year, as the threat of impending annexation seemed to dampen the councils activities. The year began with the appointment of a new auditor. 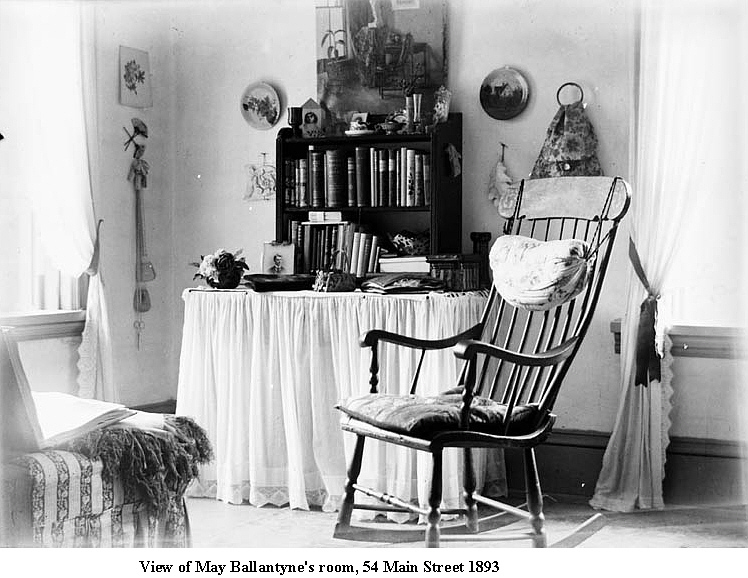 Greenfield and Robinson had audited the village for years but were now replaced by Adam Ballantyne of 36 Main St.  a member of the very influential Ballantyne family. 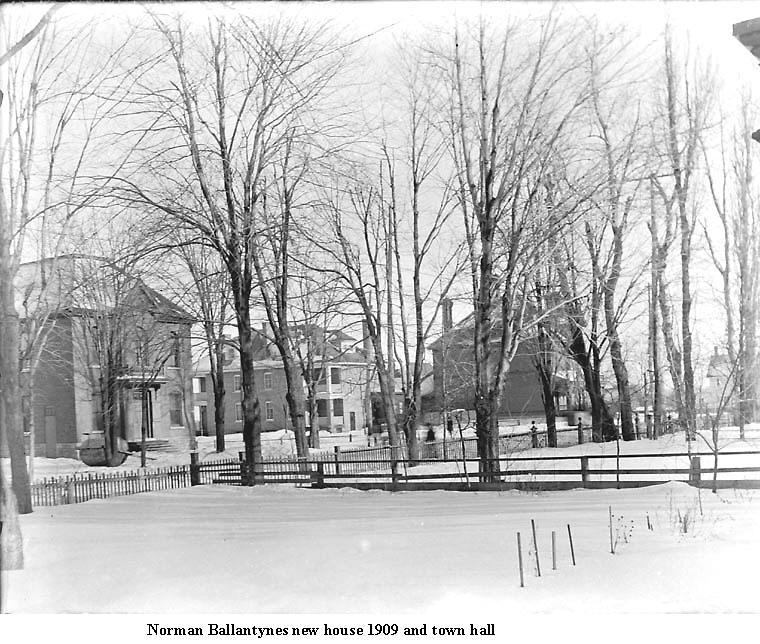 Thomas Gammon, a brick maker at 132 Main St. and Henry St. Jean, a butcher at 33 Main St. were appointed to the Board of Health. A motion to appoint George Patterson (an ex-councillor) as auditor was defeated and later H. W. Brooks assumed the role. William Rhomhild started the year as the village constable but by February there was a move afoot on council to notify him that his services were no longer required. He survived by a vote of 3 to 2. But, by May his time was up and council replaced him with G. John Hare, a carpenter at 23 Main St.. As constable he was to work from 7 PM to 11 PM on weekdays, all day Sunday and when needed. For this he was paid $125 year. 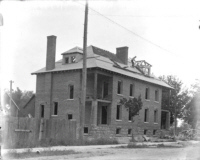 George Patterson did receive some employment in that he was hired to collect the taxes for 1907 at a salary of $85 with the required $500 bond. The Ottawa East Fire Brigade appealed to council for more support. For the about the first half of the year, the accounts for public works were normal. There were the usual purchases of stone, employment of labour, petitions for drains and now granolithic sidewalks. But by July, the number of the accounts was markedly lower and much less money was expended. The coming battle about annexation was already having a pronounced effect on the development of the village! The village constable was terminated as of Dec. 10. A committee was formed to investigate the extension of water mains on 7th and Centre Streets. Very few applications were made for this year. 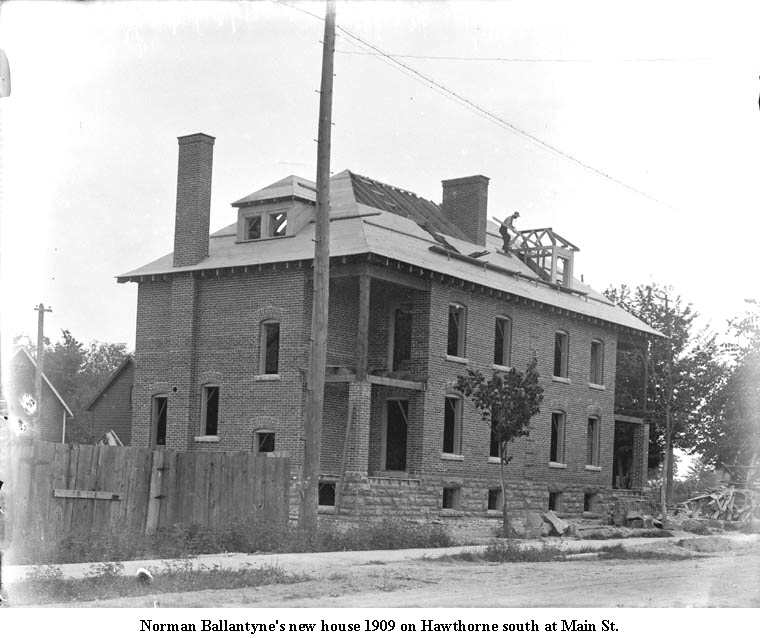 The Ballantyne Coal Sheds were reduced $600 while the 10.5 acres owned by B. Slattery were reduced $420. The rate for the Ottawa and Gloucester Road Company and the Canadian Pacific Railway stayed the same. Bylaw to license dance halls in the village. 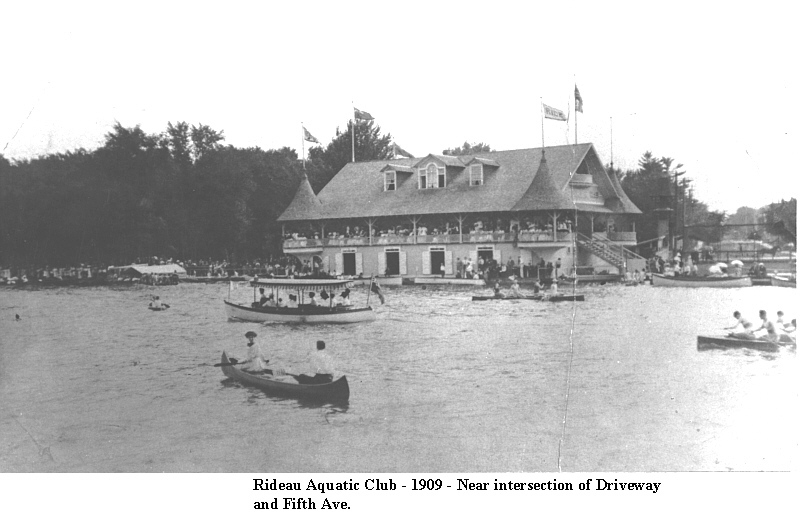 The cost was $50/year, closing time was 11:00 PM except with permission of the Reeve, no liquor on or near premises, and no annoyances or disturbances to the local residents were to occur. Fines ranged from $10 to $50. 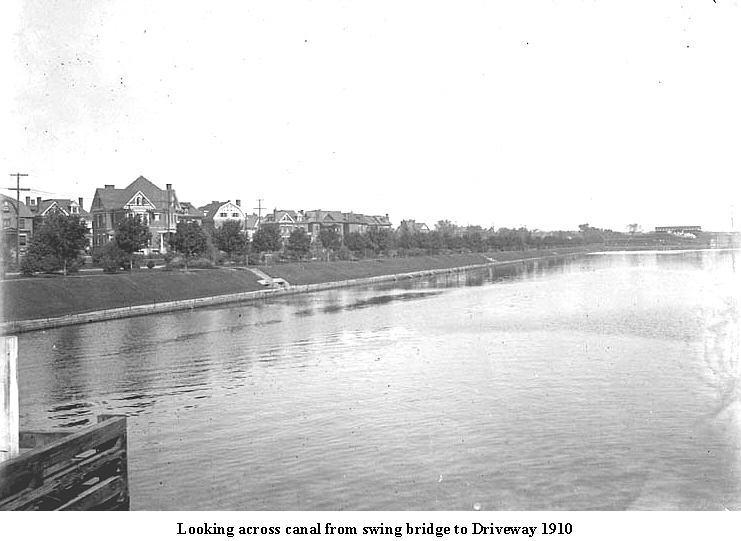 From brief references in the council minutes in 1906 and 1907 and in other sources, it appears that there was a desire by some on council to join the City of Ottawa. There had been previous discussions with the Annexation Committee of the City regarding this matter as detailed in Chapter Six. On November 5, Motion #72 was moved by Doran and seconded by Beaton "that in the opinion of this Council it is expedient that the Village of Ottawa East be annexed to the City of Ottawa on the terms which have been agreed on with the City of Ottawa". The motion passed. It was then followed by Motion #73 which directed that the resolution be submitted to "the ratepayers who are qualified to vote on the 20 (sic) day of November 1907". The motion was carried. The vote on annexation was held on that date and the clerk, William Barry, recorded that there were 142 votes for annexation and 116 against. As described at the beginning of this chapter, the motion read "be it resolved that we do now pass away  Good bye Ottawa East". And so ended the story of the Village of Ottawa East! 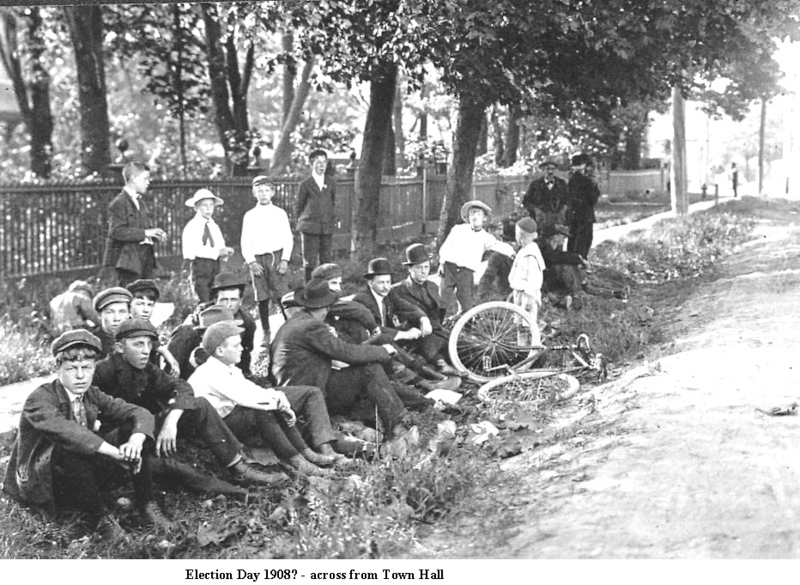 The final dissolution of the Village of Ottawa East technically took place on December 10, 1907. 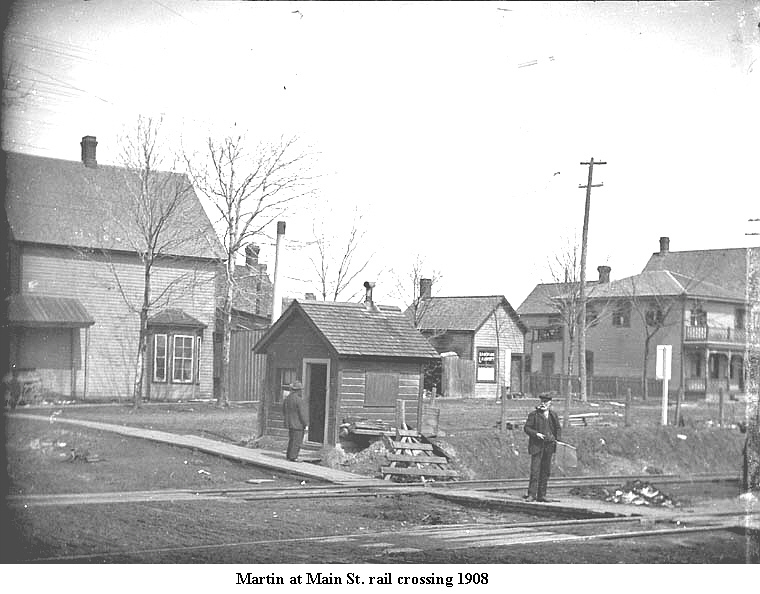 On that date the Ontario Railway and Municipal Board issued an order annexing the village to the city. This was the provincial body that had the final say in all municipal matters. From this point the City of Ottawa assumed all the assets and liabilities of the village and took control of the existing agreements with the electric and water companies. 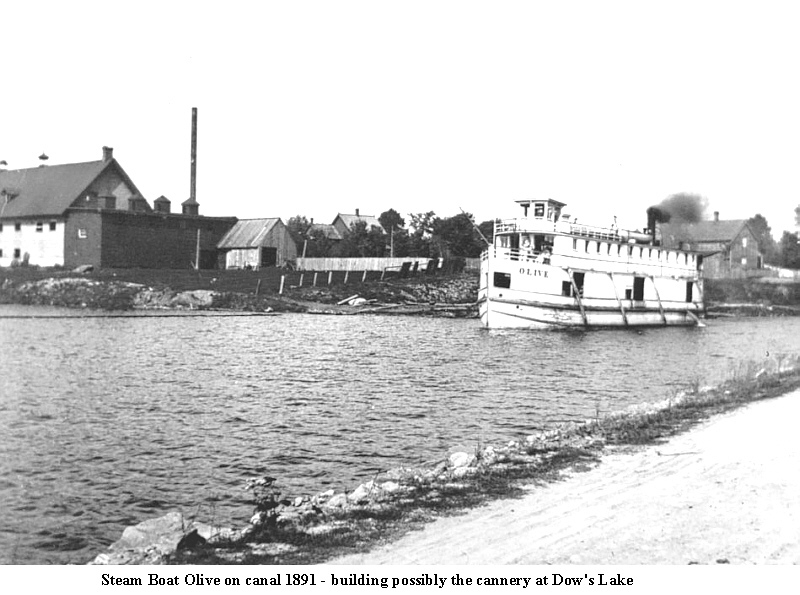 City of Ottawa Bylaw 2776, passed on June 15, 1908, permitted the city to take possession of the Ottawa East Water Company and pay the owners an agreed price. Agreement could not be reached and the matter was sent to arbitration. On December 21, 1908, city bylaw 2824 authorized the payment of $69,951.218 for the works and $46.18 for half of the arbitration costs. While the original costs of building the system are not known today, the amount paid by the city was significant in 1908 dollars. The original investors must have been pleased with the return on their original efforts! Andrew G. Acres, treasurer for the village, prepared a final Statement of Assets and Liabilities. The original is found in the "Ottawa East Box" at the City of Ottawa Archives - Reference E-10/4-3, 30/64. 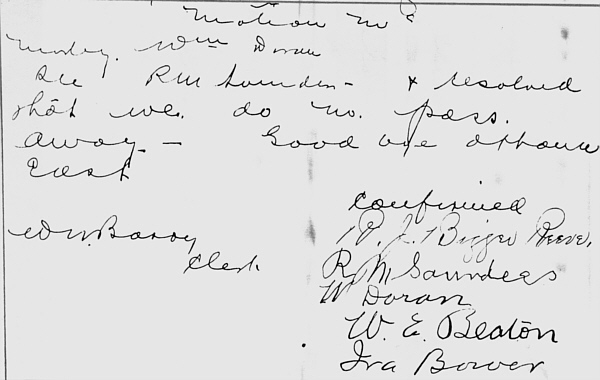 It should be noted that he signed the statement but put the date as "Jany 14/1907". An 8 was later penned in over the 7. The detail of this statement reveals a municipality that was not in debt and this was one of the key reasons the city sought annexation so readily. As well, most of the ratepayers taxes for 1907 were still outstanding. It appears that annexation caused most people to hang on to their money until the city took over. Stock in Nepean and North Gower Road Co.